The UK government “hopes to come up with a solution in due course” to the security implications in Ireland of a no-deal Brexit. 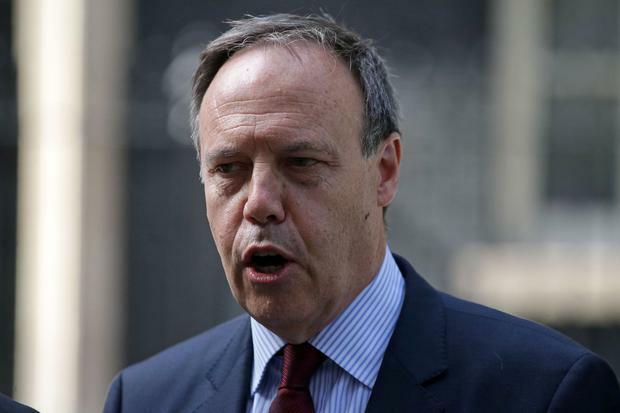 The alarming comment came in the face of repeated questions from the DUP’s Nigel Dodds, frustrated at the lack of action following a warning from Northern Ireland’s top police officer over Brexit planning. Chief Constable George Hamilton said in June that he felt “in the dark” because of a lack of information, and said he did not know to whom he should send a business case asking for additional resources for Border duties after Brexit. There have also been concerns expressed on this side of the Border about lack of clarity on policing and security matters post-Brexit. Mr Dodds, speaking in the House of Commons, reacted with annoyance when told by Northern Ireland Minister Shailesh Vara that the UK government would be “issuing guidance in future”. Mr Vara replied: “I can give an assurance that the secretary of state actually spoke with the chief constable this morning. We’re in regular dialogue and we’re considering the proposals that he has put forward. Separately, British Prime Minister Theresa May’s chief Brexit adviser Olly Robbins defended the civil service’s expertise after Labour MP Kate Hoey asked if anyone in his department “actually understands and appreciates the Border issue”. He said that they regularly received advice from the civil service in Northern Ireland, the PSNI and HM Revenue and Customs, who provided “a great deal of technical focus on these issues”. He added: “Ministers have had a very detailed and constant set of advice about how to resolve the issues. “The Secretary of State has said there is a constitutional reality that at the point we leave the EU, two jurisdictions that were previously governed in common on some things that drive borders in many parts of the world no longer will be.